Where it all began 2 ½ years ago. The HQ of Sleep Right Australia. 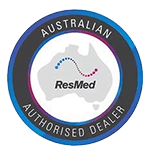 Arrange your Sleep Test, CPAP trial or treatment review in Mansfield.